This topic crosses my mind quite often actually. Do you ever think about inventions? I'm thinking light-bulbs, paper, computers, electricity, toilets... Basically everything. Even though some seem pretty "normal" like roads, other blow my mind on daily basis. I stated quite a few times that I'm usually fascinated by "little things" so this is not new that I would be interested in this. The reason why I mention roads as a normal invention is because I can kinda get the idea how it all started. We also have some creative ideas on daily basis just to make our life little easier. While roads seem simple to me, cement or any pavement is fascinating. How did anyone figure out how to get that mixture? But let's think about even bigger things. 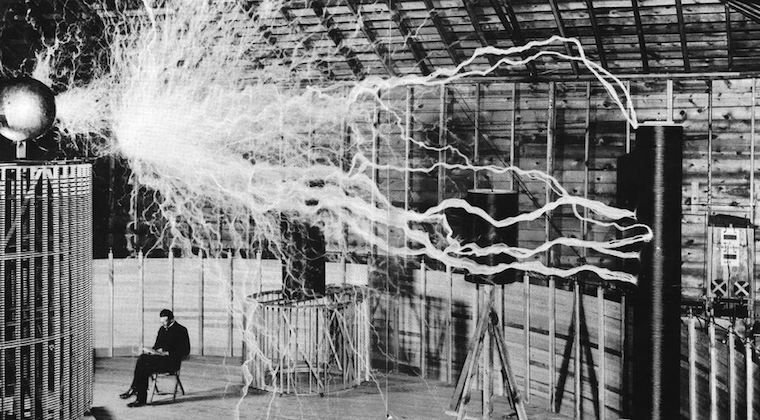 Nikola Tesla and electricity is probably the one I think the most about cause Tesla is our guy, from the hood here. How did he even get an idea to do this? It's "easy" now to say "we're going to use electricity to power a computer". But we know what electricity is now, we have an idea of it. In that time, nobody was thinking about it. Nobody knew this could even exist. I don't know if you're following me, but at those times, there wasn't even a glitch of idea for these stuff. I think this is probably the invention I'm most fascinated by. I'm sure there are other amazing and "weird" inventions, but I think about this one the most. And to think Tesla wanted electricity to be free for everyone and he died without it and they now charge it like it's gold. And it basically is to us, but you get the point. Things like toilets also amaze me. For centuries (thousands of years) people didn't bother with this, but then someone had to have an idea to make a toilet. Without it even being in the air, someone had to think of everything. And, of course, everything evolved with time, but even the first idea is fascinating. Let's think about Word, a computer Office program. Who, how and why did invent this? A program that would have a sheet of paper inside of a box. But it's not an actual paper, it's all virtual and connected with lots of wires. Get it? A car. OK, you got wheels, I get how they did that. But then you had to connect all pieces for it to actually drive. And nobody has even seen a car or the idea of a car at that point. We now just upgrade them all the time, but thinking of something that's not even in the universe it beyond me. Name one invention you're fascinated by.